For more than 30 years we have celebrated the thrill of world-class ski racing in Lake Louise. Our partners are the backbone to our legacy. Thank you. 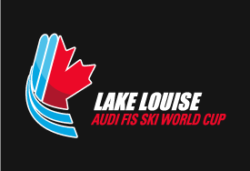 Partners support the Lake Louise Audi FIS Ski World Cup with financial and in-kind products and services. The event is not-for-profit and every penny contributed to the $4 million dollar bottom-line is invested in the ski community and event. Customized benefit packages are developed in collaboration with partners so we can each put our best ski forward.